Looking for deals in Shanghai? Boasting a fitness center, a bar and a restaurant, The Sukhothai Shanghai is located in Shanghai and is 0.7 mi from People's Square. Excellent location, modern and stylish. Fantastic staff, especially Helene, Hong, Sori, the indefatigable Lance. Featuring air conditioning, Lulun Hotel offers accommodations in Shanghai, a 15-minute drive from Qibao Ancient Town. The city center of Shanghai is about 12 mi away. It feels like home. Very pleasant to stay. Rooms are clean and tidy. Sally is very nice and friendly. I had a really nice stay there. Would like to highly recommend this hotel. Luxurious living in the city is offered at The Ritz-Carlton Shanghai, Pudong, a property with views of Huangpu River and The Bund. It features an indoor pool and exclusive spa. We had a very special stay in the Ritz-Carlton Pudong. Conveniently located around a 10-minute walk from Hanzhong Road Subway Station (Line 1, 12 & 13), Hotel Indigo Shanghai Jing'An is only 1 stop away from Shanghai Railway Station. New hotel with staff who are trying to impress. All round good experience. An beautiful retreat in the bustling Hongqiao business district, The Anandi Hotel and SPA features a sun terrace and spa center. The complimentary classes they offer are extraordinary. Strategically located at the northern end of the Bund, Hyatt on the Bund is a 3-minute stroll from Waibaidu Bridge. Great service! Loved the club option!!! Good food and cocktails!! Set in Huangpu District in Shanghai, 2953 feet from Yu Garden or the Bund, Campanile Shanghai Bund Hotel features a restaurant, bar and free WiFi throughout the property. Location, all staffs and property were amazing!!! They allowed us to early check in at 11:00. Located in the heart of Kangqiao in Pudong District, Novotel Shanghai Clover is within walking-distance of Kangxin Highway Subway Station (Line 11). It was a very nice property and the rooms were very clean and comfortable. Shanghai Fish Inn East Nanjing Road is located in Shanghai. Free WiFi access is available. Each room here will provide you with a TV and air conditioning. There is also a refrigerator. Nice and clean. Easy access to Nanjing road. Renovated in June 2017, Campanile Shanghai Natural History Museum Hotel is located in Jing’an District of Shanghai, featuring the view of Suzhou River. The team, Veronica et al. across 8-10 Jan we're extremely patient and helpful. Boasting sumptuously decorated room, first-rate fitness facilities, beauty salon and gourmet cuisine across 4 stylish restaurants, Four Seasons Hotel Shanghai is located in the heart of the bustling... Everything! The staff were friendly and attentive. The service was exquisite. Dinner was fantastic. Blending 1930’s Shanghai charm with luxuries of the modern world, The Yangtze Boutique Shanghai is located in Shanghai’s city center, just 98 feet from People’s Square metro station (line 1, 2 and 8).... In room facilities is very good, all necessary goods are provided in a good quality. Waldorf Astoria Shanghai brings elegance and glamour to the Bund with its luxurious rooms, fine dining options and True Waldorf Service. The view from the room is just perfect, you can see the Pudong side with all the main buildings. Occupying the higher floors of Tomorrow Square beside People's Square, JW Marriott Hotel offers rooms with excellent views of Shanghai. It has indoor and outdoor pools and 6 dining options. The staff was very helpful and attended to our needs! Which hotels in Shanghai have nice views? 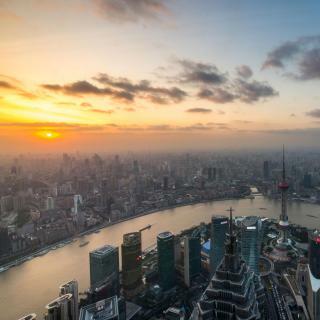 Urban Rosa Cafe&Inn, Home Inn Plus Shanghai Pudong Airport Chenyang Road, and The Ritz-Carlton Shanghai, Pudong got great room view-related reviews from travelers in Shanghai. Which hotels are the best ones to stay at in Shanghai? The Peninsula Shanghai, The Sukhothai Shanghai, and Fairmont Peace Hotel On the Bund are some of the popular hotels in Shanghai. How much is a hotel in Shanghai for this weekend? The average price per night for a 3-star hotel in Shanghai this weekend is $101 or, for a 4-star hotel, $197. Looking for something even fancier? 5-star hotels in Shanghai for this weekend cost around $329 per night, on average (based on Booking.com prices). How much is a hotel in Shanghai for tonight? On average, it costs $54 per night to book a 3-star hotel in Shanghai for tonight. You'll pay around $103 if you choose to stay in a 4-star hotel tonight, while a 5-star hotel in Shanghai will cost around $192, on average (based on Booking.com prices). 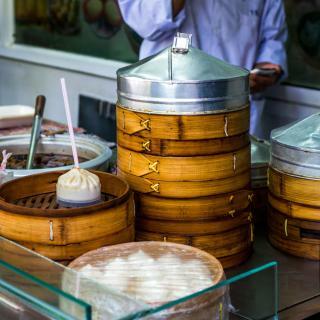 Which hotels in Shanghai offer an especially good breakfast? 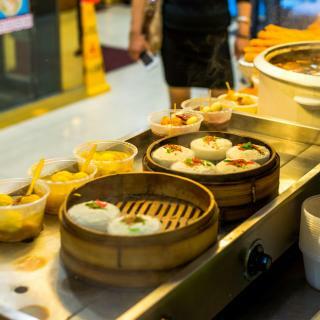 For hotels in Shanghai that serve highly-rated breakfasts, try Shanghai Daoli one step garden(PVG&International Resort), Wanda Reign on the Bund, and Fairmont Peace Hotel On the Bund. How much does it cost to stay in a hotel in Shanghai? On average, 3-star hotels in Shanghai cost $62 per night, and 4-star hotels in Shanghai are $91 per night. If you're looking for something really special, a 5-star hotel in Shanghai can be found for $170 per night, on average (based on Booking.com prices). Which hotels in Shanghai are good for families? Many families visiting Shanghai loved staying at The Anandi Hotel and SPA, Shanghai Sanhang Hotel, and Home Inn Plus Shanghai Pudong Airport Chenyang Road. 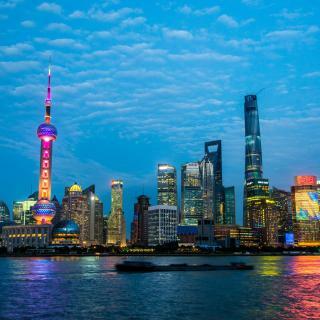 Which neighborhood is the best one to stay at in Shanghai? 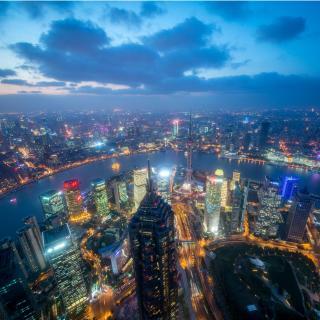 The Bund, Downtown Shanghai, and Xuhui are popular with other travelers visiting Shanghai. Which hotels in Shanghai are good for couples? These hotels in Shanghai are highly rated by couples: Urban Rosa Cafe&Inn, Yunhe Yebo Hotel (Shanghai International Tourism Resort Pudong Airport), and Lulun Hotel. What are the best hotels in Shanghai near Shanghai Hongqiao International Airport? Travelers who stayed in Shanghai near Shanghai Hongqiao International Airport (SHA) have said good things about Shanghai Hongqiao Airport Hotel - Air China, Mercure Shanghai Hongqiao Airport, and Hotel Indigo Shanghai Hongqiao. What are the best hotels in Shanghai near The Bund? Some of the best hotels in Shanghai near The Bund include Waldorf Astoria Shanghai on the Bund, Les Suites Orient, Bund Shanghai and SSAW Boutique Hotel Shanghai Bund. A beacon of 21st-century China, Shanghai is modernizing at an electrifying rate. Nowhere is this more evident than the skyscraper-punctuated Pudong commercial district. 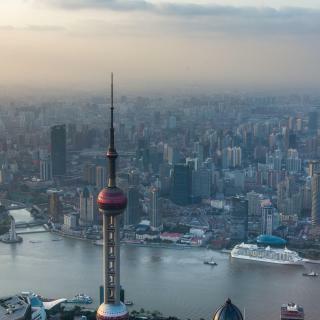 The most distinct - the Oriental Pearl Tower - has a ball at the top and bottom and has fabulous city views. A number of towers also twist as they go up – a feat of contemporary engineering. This side of the city also houses Shanghai Pudong International Airport, while Shanghai Hongqiao Airport is over the Huangpu River in the Puxi district. An area of older and less dominating buildings, Puxi features the elegant Bund area whose varied architecture includes a surprising array of Art Deco. With a choice of shopping centers and small shops beneath brightly lit neon signs just like Chinatowns across the world, Shanghai shopping is fantastic. Other must-see Shanghai attractions include the wonderful Shanghai Museum and the Jade Buddha Temple. For a break from the hustle and bustle, head to the Yuyuan Gardens, the beach or peaceful Zhujiajiao Water Town in the west. Whether you choose one of the Shanghai hotels, apartments or hostels, take time to go to a tea house, a Chinese institution. 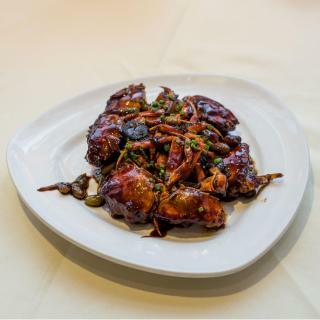 Also worth sampling are Shanghai hairy crab, steamed dumplings and the freshwater fish so popular with locals. Crowded but Subway is easy to take and follow. Crowded but Subway is easy to take and follow. Go to all major points in City if you do not want to be on a tour bus. Lots if shopping. Take Line 9 to Tian Zi Fang, very old school China if you will. Narrow streets, sidewalk vendors, lots of souvenirs that i could not find anywhere in the Malls. Food is great, Bars a plenty. Shanghai is a sprawling metropolis full of great architecture, an abundance of retailers, and a first class subway system. While there, be sure to visit the Xtiandi neighborhood, where you’ll find a host of bars, restaurants with outdoor seating, and lots of shops. Shanghai is amazing. The food, and in particular the street food, alone is worth a visit. The Skyline is second to none. The public transport network is clean, efficient and crowds are no problem. You can see all of Shanghai using the metro. Shanghai has so much to offer we only scratched the surface. Business capital of China with excellent shopping, museums, and attractions, especially the Pearl Orient tower. Take the hop-on, hop-off bus to get oriented. 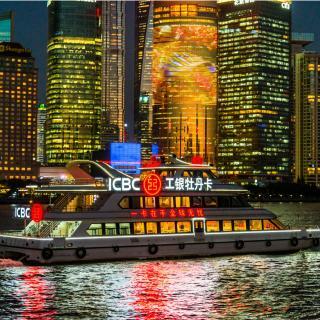 Includes 45-minute river tour that presents great views of Shanghai's impressive skyline. Museums provide tremendous insight into region's past, including archeological origins and business activities. Pedestrian shopping streets offer opportunity to view and buy best goods China has to offer. This is our favorite of seven Chinese cities that we visited. Shanghai is a wonderful city in many ways. Shanghai is a wonderful city in many ways. It shows various dimensions as the most advanced IT city as well as a traditional lives in the city. I visited Shanghai for four days and I can say it was too short to explore the one of the biggest city in the world. However, I couldn't check my gmail and youtube channel. And I had a hard time to search answers to my questions about the city on the Internet because I couldn't connect to many websites that I had used to visit in other countries. If you want to visit Shanghai, you have to study how to connect to the Internet in China before you set out. We had a very special stay in the Ritz-Carlton Pudong. Along with the room being very nice and it being a great location we had a very personalized experience with Winga (head of guest relations) and Andrew (the GM). We were due to get married in Shanghai but the Chinese government changed the laws meaning two foreigners can no longer get married in China. When Winga and Andrew heard this they treated us even more specially with a spa experience, room decorations and a lovely bottle of wine. Its a wonderful stay for us as we want to stay nearby Shanghai disneyland. The hotel staff is friendly, and our stay there is comfortable, spacious, room is nice, although not so bright , complimentary mini fridge supply for 1x a day, breakfast is nice , very worth for money. Provides shuttle bus to disneyland and Pudong International airport, its so great. Our family are satisfied with this hotel and will definitely come back again in future. Overall Hotel was very good, clean and comfortable. Staff was very supportive. All the facilities mostly much with the pictures in "booking.com" breakfast was also good with the possibilities to choose Chinese or European food. The Pool was good with separate jacuzzi part. Hotel close to several shopping malls and restaurants. We have enjoyed stay in Renaissance Shanghai Pudong Hotel. The location is great and living in a lane in the former French Concession is definitely one of the best ways to experience Shanghai. As former Shanghai residents, we would always choose this kind of accommodation over a hotel room for a longer stay. The apartment is well equipped with everything you need for your stay and the bed is (apart from the size) also comfortable. Excellent 4 Star hotel near Pudong airport (free shuttle 20 min.). Had luck and got an upgrade to the executive floor at 18th floor which has its own lounge with free drinks, snacks etc. Room was modern, clean, spacious ( had many worser 5star hotels in China before). Breakfast delicious and with a wide choice of any food... Can highly recommend the hotel. Okay location, near enough to a metro although not the best line, so still quite a lot of walking to do to get places. The rooms were clean enough. We booked an executive room and paid more, however in my opinion it was on par with a basic room from a 4 star hotel. Given this is a 5 star I expected more from a premium room. Quite small and basic. It is one of the best 5 star hotel in Shanghai with the cozy restauran in the lobby. The location is closer to the bund as well - walking distance for about 10mins. The staff is very helpful providing information and also taxi i early morning. I did not take breakfast yet due to early check out but i think it will be gorgeous. Everything. Location. Shuttle service to / from airport and didn’t. So clean. Friendly staff. Breakfast. Also all the staff spoke English which I know we can’t expect but was nice when I arrived at 1am. Honestly one of the best hotels I have stayed in regardless of price. If this is the area you want then book this one. I love my stay here! I love how everything is up to 5 stars hotel standard but also homey and warm at the same time. The room is big. The water pressure is great and the washroom is spacious. The host is very nice and upgraded me to a nicer room. I will recommend to anyone who goes to Shanghai. The usual best choice in Shanghai, if you travel to other cities from Shanghai Railway Station. You can find fancier hotels, but not at this price, and it still brings the 5 star quality. Breakfast is the best, more food than competitor 5 star hotels offer! The staff was extremely helpful in sorting out a situation with a taxi driver that was trying to rip me off! The rooms are nice and the included breakfast is top notch. Best place to stay in Shanghai for the price by far. Staff is professional, friendly and polite. I have stayed in several 5 stars hotels in Shanghai and this was the best experience. We arrived early and our room was not ready. Our daughter (age 1.5) really needed to take a nap. They switched our room so that we could go ahead into our room and get settled. She was able to take a nap and we didn't have to wait for our original room. We were very thankful for their help.